Foot massages are a simple and effective way to better health. 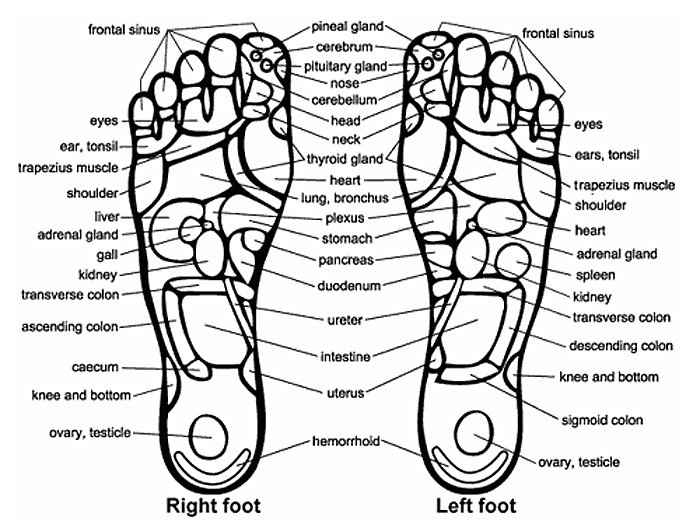 According to Chinese Medicine, the foot is, in fact, a separate body, which is directly related to all of our body parts and organs. We all know acupuncture works very well, but you need a certified practitioner to perform it. What happens if you don’t enjoy those tiny needles inserting into your body or you just want a little bit help to relax yourself? Well, how about a foot massage? So, by stimulating one or a combination of areas, you will in turn be massaging the corresponding body muscles and organs.